Anyone not running Saturday please email me if you can help with the race. I need a water stop volunteer ideally with truck to transport table and various runner direction help. If you are running please try to pick up your number & shirt at Nantucket Health Club on Friday from 9 AM to 8 PM to ensure desiredr shirt size. If you must sign up on race day please do so at Miacomet Village. Thanks, Bob. Special thanks to our awesome timing group: Andrew McKenna-Foster, Susan Scott, Denise Allen, Peter Brace, Michelle Perkins & Scott Leonard. P Took the Cold Turkey Plunge in support of the Atheneum fundraiser. Several of our members trekked up to Burlington, VT in August to tackle the 2012 Age Group National Championship races in both the Olympic and Sprint distances. Did you know you can watch the replay on-line? USAT has the full ‘live’ stream of both competitions available on their site: [Olympic Distance] [Sprint Distance]. Perfect treadmill or trainer mind-goo for your next long workout in the cellar. And guess what else is now on-line? USAT’s USA Triathlon magazine is available for your iThing so you don’t have to wait for your next issue to arrive in the mailbox. Better yet, save a few trees and switch to the electronic version only! USATF-New England has opened online voting for the 2013 Road Race Grand Prix. The committee has selected 3 options to choose from and you must be a 2012 or 2013 USATF member in order to vote. Voting is open through Sunday, 2 December and the full schedule will be announced on the 3rd. The CCAC plans on fielding teams for the 2013 series so if you’re interested in competing for the club, make sure your membership is paid up and send an e-mail to ccac@capecodathleticclub.org. “Music produces a kind of pleasure which human nature cannot do without”- Confucius. September meeting notes discussed and approved. Discussed Treasurer’s report and the “trend” of account balance. Treasurer’s report accepted. 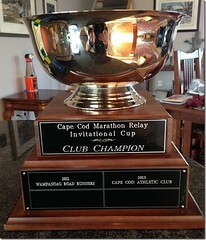 Cape Cod Marathon Inter-Club Competition update discussed. Total of 3 teams participating in race which are comprised of a Men’s, a Mixed and a Women’s team. Howard Tansey recently completed an ultra running race in 19hrs and ended up running total of 105 miles due to the race course not being accurate. Tri team updates discussed by Andy Scherding. 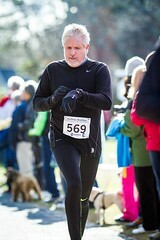 Total of 36-37 members participated in Hyannis Sprint II race in September. Discussed various races during the 2012 season. There are approx. 129 CCAC members who are a part of the Tri team. Swim clinics starting up soon. Tri team social to be held at Andy Scherding’s home on Saturday, October 27th. 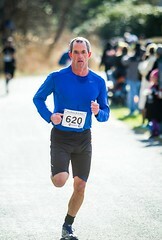 Geof Newton – discussed an influx of races coming up in October and will be posted on Club calendar. Old business – Had previously discussed dates for upcoming Grand Prix races. Tentative dates: 12/2, 12/9, 12/16, 12/30, 1/6, 1/13, 1/19, 1/20, 1/27, 2/3 and 2/10. 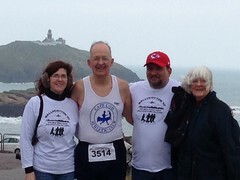 December – Chatham Harbor In Winter run course a possibility? Organizing a race which is sponsored by CCAC? Possible new ways to generate income? Open up this race races to non-members and address the problem this would create with the Club’s insurance? Obtain clearance from Chatham Police Dept. for races in Chatham? An after-race venue for Chatham Harbor race? 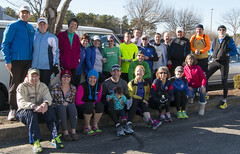 2012-2013 Grand Prix – possible venues: Land Ho, Chapin’s, Lost Dog Pub, Chatham Harbor Run route – need to discuss with Larry Belliveau. Maybe not do the Weary Travelers run this year? New Business – Barnstable High School Musical 5k – rec’d request from Jane Hattemer-Stringer for Club to help with November race. Sponsorships – Andy Scherding had emailed Larry Cole about possible sponsors for Club. Discussed how other Tri teams have various sponsors. Club would promote these sponsors in exchange for sponsor providing us with income. Due to our non-profit status, may not be wise to have sponsorships but rather accept donations (?) Per Andy, he knows of a tri member, (Michael Mutter) who has offered to look at legal documents on Club’s behalf. Also, Dwight Pfundstein has offered to speak with Cape Cod Cycling Team to see how their club handles sponsorships, etc. Directors to look into this further. Club Express – Geof to investigate ways to integrate Club membership with mailings, etc. via Club website. November CCAC meeting to be held on Wednesday, November 7th at Dennis Senior Center.